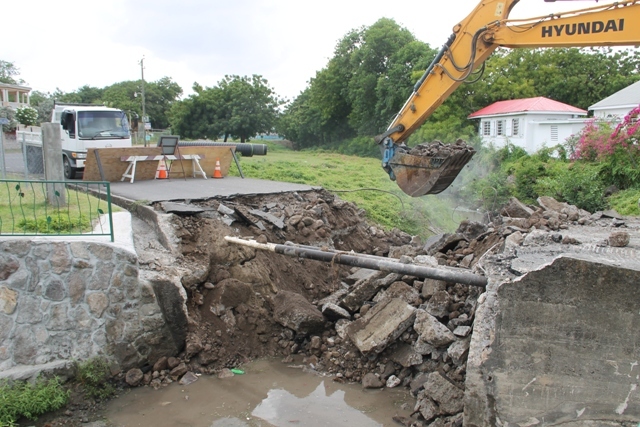 NIA CHARLESTOWN NEVIS (MAY 26, 2017) — Work on the construction of a new Bath Bridge commenced in earnest on May 25, 2017, with the demolition of the existing structure. Two weeks ago, the bridge was rendered unsafe following severe erosion by heavy rains. The bridge, which links Bath Village to Charlestown, was closed to vehicular traffic by the Nevis Island Administration (NIA) after the discovery of a collapse in the mid-section of the foundation. 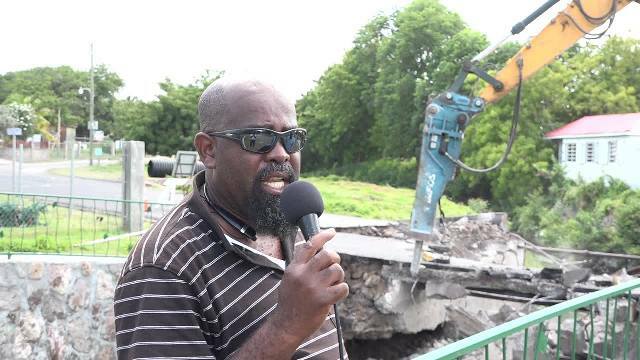 Daniel Williams, Supervisor of Roads, Public Works Department in the Ministry of Communication and Works, told the Department of Information that steel bending for mattings, columns and footings began ahead of construction, which is expected to commence over the weekend. 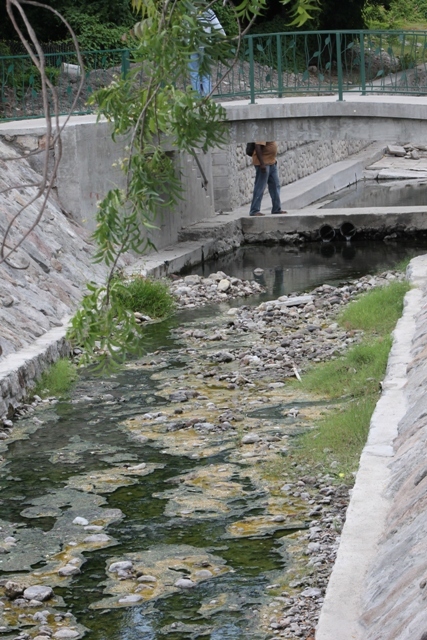 He said at the end of the demolition exercise, the stream would be cleaned and the water diverted to one side for uninterrupted construction works on the new bridge. Williams added that although the demolition work affected pedestrians, the department would provide a temporary bridge for access to and from Bath Village during construction. Regarding completion of the new bridge, the Supervisor of Roads explained that it should not be far away. “If everything goes as planned, we will see the construction starting in a next couple of days. We expect in another three to four weeks that the construction would have been completed. The concrete will have a curing process about 21 to 30 days and shortly thereafter, it will be opened to pedestrians and the motoring public,” he said. Shortly after the bridge was closed, Raoul Pemberton, Director of the Public Works Department had given the assurance they would remedy the situation assiduously utilising the best course of action and complete construction in a timely manner.